With news hitting the headlines of over 40 lakh people not finding a place in the updated National Register of Citizens (NRC), there has been an uproar across the country, many favoring the NRC drive and many against it. It was a Supreme Court monitored exercise to identify illegal immigrants living in Assam. 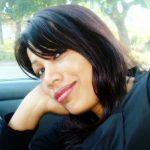 The majority of the illegal immigrants are believed to be Bangladeshis. People who entered Assam after March 24, 1971 were viewed as illegal immigrants. 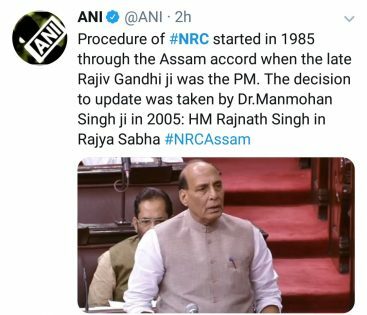 The updation of NRC has been in deference to the Assam Accord of 1985. Rajiv Gandhi was then the PM of India. The Rajiv Gandhi government had signed the Assam Accord of 1985 with the All Assam Students’ Union following the end of a six-year agitation. 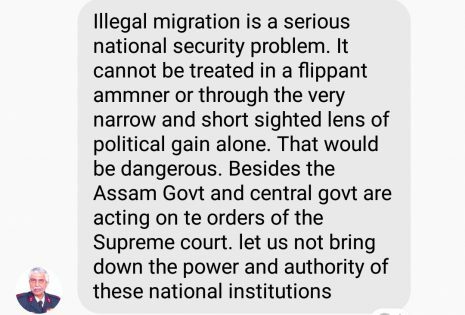 This agitation called the Assam Movement or Assam Agitation started in 1979; it urged the govt to identify and expel illegal Bangladeshi immigrants and safeguard the interests of the indigenous people of Assam. The movement was led by All Assam Gana Sangram Parishad and All Assam Students Union (AASU). There were protests and demonstrations that continued till 1985 until the Assam Accord was signed. According to a New Indian Express report, the Register General of India (RGI) Shailesh, the deficit was of 40,07,707 people. The RGI said that those people whose names have not figured in NRC would get an opportunity of 30 days to file claims and objections. He also said that names of no genuine Indians would be left out. 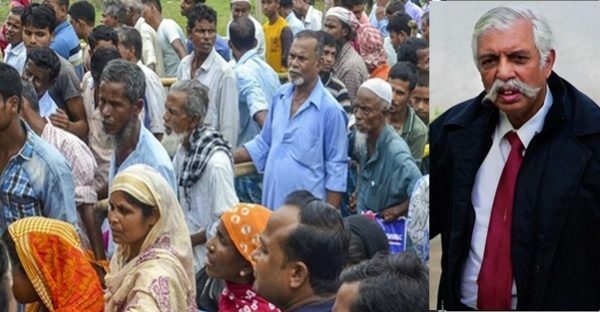 Meanwhile, 52 Bangladeshi illegal immigrants have been deported through South Salmara-Mancachar district as per the New Indian Express report. The report said they had entered illegally and were arrested from different parts of the state. 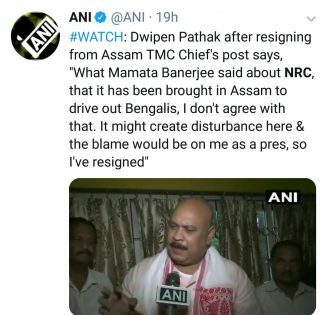 Did Mamata Banerjee ever speak about providing shelter or in favor of the Kashmiri Pandits who are refugees in their own motherland since their mass exodus from Kashmir in 1990? Many media personalities and politicians are against the NRC drive. They are openly voicing their opinion against it, all in favor of the illegal immigrants. Did they ever voice their opinion in favor of the Kashmiri Pandits? No! Never! 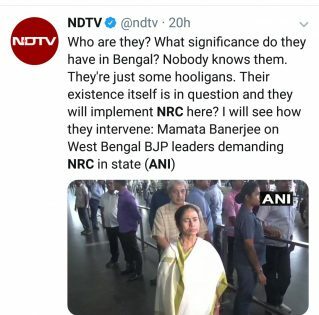 Meanwhile, other states are also demanding the implementation of NRC in respective states. MP Manoj Tiwari requested Union Home Minister Rajnath Singh that a survey like NRC should be conducted in Delhi too. 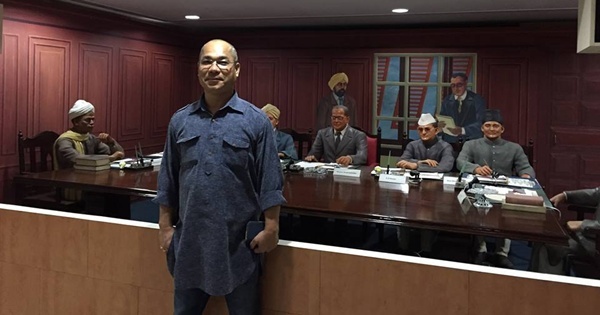 He cited reasons that Delhi has a large number of Rohingyas and that foreign intruders are residing in Delhi and many of them have also attained Aadhaar and ration cards. Raj Purohit, MLA from Mumbai has requested for the implementation of NRC in Mumbai to identify Bangladeshis settled there.